A N$35 000 grand prize was won last Friday by Namibians who used Namibian myrrh Commiphora wildii essential oils in locally produced and created cosmetic products. 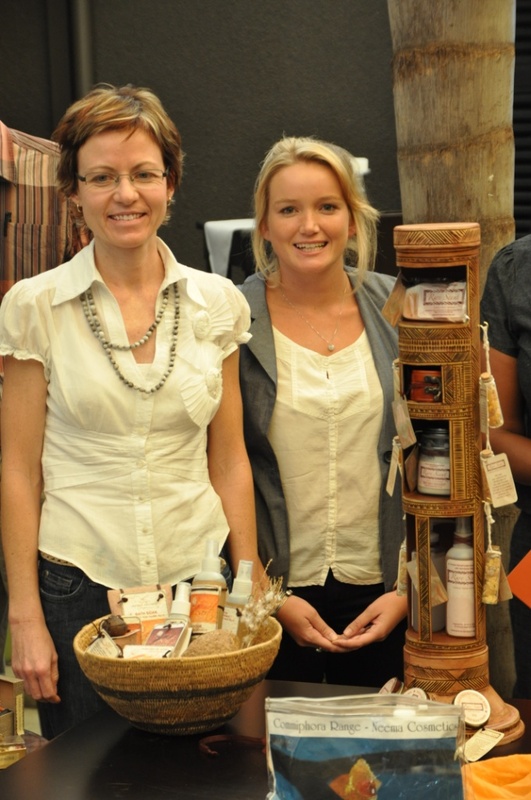 The two winners – Tamarind Nott (Rare Scent) and Sophia Snyman (Desert Secrets) were announced and the prize cheques handed over at a formal ceremony at the NICE restaurant on Friday 12 April 2013. The Natural Resources Institute, University of Greenwich, with financial support from the MCA-Namibia Indigenous Natural Products Innovation Fund has under the Namibian Essential Oil Innovation (NEOi) project, launched the first competition of its type in Namibia to encourage Namibians to generate innovative cosmetic uses of Namibian myrrh Commiphora wildii essential oil. Launched at the beginning of February 2013 and the winners announced on 12 April 2013, any Namibian entity – individual, company or co-operative – could enter the exciting competition in a bid to win N$35,000.00 to support the launch of their newly developed products. Nine entrants with a total of forty-two products were submitted ranging from lip balms to soaps, body scrubs to facial oils, and body butters to room sprays. Namibian myrrh has been sustainably harvested for eons in Namibia’s northwest by the indigenous Himba people of the region and is one of many valuable natural products used to scent their bodies. Most recently, support from the Integrated Rural Development and Nature Conservation (IRDNC) and financial assistance from MCA-Namibia INP PPO Sub-Activity through the Natural Resources Institute, the newly established Opuwo Processing Facility was operationalised. 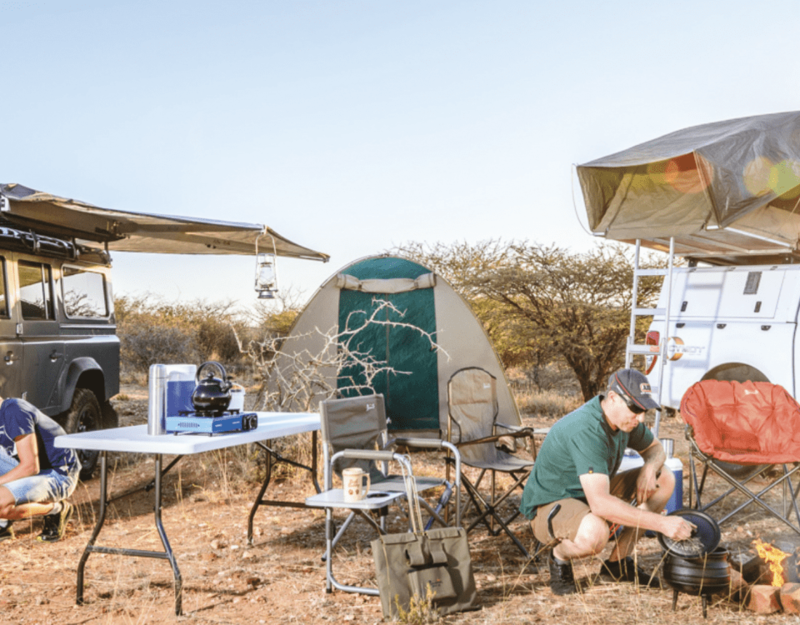 The Opuwo Processing Facility is a jointly owned business by members of five conservancies/ community forests in northwest Namibia who are engaged in the sustainable harvesting of Namibian myrrh and other ‘new’ and exciting natural products for distilling into essential oils. Namibia’s only community run essential oil manufacturing centre, the Opuwo Processing Facility (or OPF to those on the ground), is located on the outskirts of Opuwo. Namibia’s Essential Oil Challenge Fund aims to create and or expand local markets for Namibian Myrrh Commiphora wildii essential oil, which in turn will provide a sustainable financial business for the nomadic Himba people of northwest Namibia who harvest the naturally exuding resin. The Challenge Fund aims to provide support, financial and otherwise, to Namibians keen to generate income through the sustainable use of indigenous natural plant products and to develop products to sell at the soon to be developed Opuwo Visitors Centre. 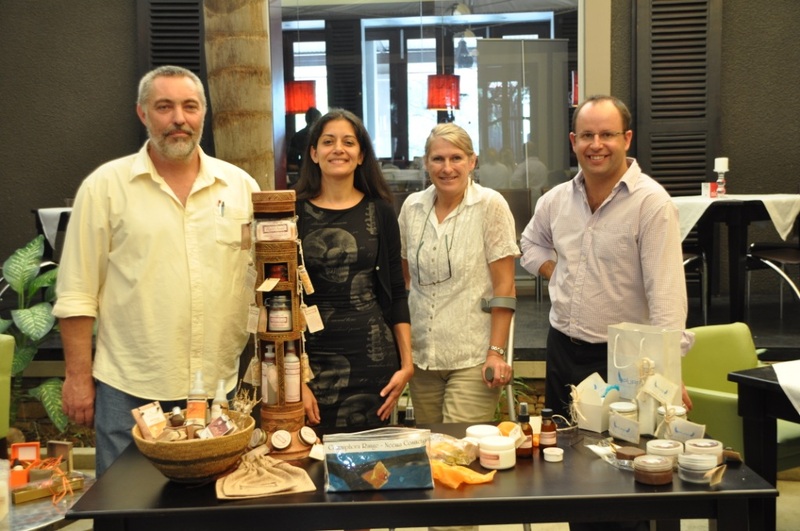 Each of the Challenge Fund entries comprised of a minimum of two prototype products which contain Namibian myrrh Commiphora wildii essential oil. The Challenge Fund entrants’ products were evaluated on the smell, appearance and texture of the prototype products, packaging design and pricing strategy, (confidential) product formulation, and importantly, the viability of their business idea and suitability for the proposed target market. An independent international panel of judges was pulled together for the judging of the products and the presentations of each of the entrants. The judges were Fabienne Bourhis (Perfumer, V. Mane Fils), Dr. Pauline Lindeque (Senior Manager Strategic Marketing, Sales and Communication, Namibia Wildlife Resorts), Lizette Foot (General Manager, Team Namibia), Dave Cole (INP Manager, MCA-Namibia) and Dr. Julian Fennessy (Team Leader, Natural Resources Institute). In this ‘Dragon’s Den’ style presentation format, each of the entrants were asked to briefly explain the product and their marketing strategy followed by probing questions from the judges to better ascertain the business concept and its viability. Follow up support to the winners will be provided by the Natural Resources Institute/MCA-Namibia Team to help guide the next stage of product development to have them launched officially at the upcoming Namibian Tourism Expo in Windhoek later this year. This truly innovative and successful Challenge Fund will hopefully produce not only an entirely new array of products for the Namibian and international market, but hopefully inspire Namibians to explore their entrepreneurial flair and use Namibian products for Namibia! The Namibian Essential Oils Innovation (NEOi) Project is funded by MCA-N through an Innovation Fund grant and implemented by NRI. The overall aim of the project is to enable the establishment of an essential oil business in Namibia in which primary producer organisations have a stake. The intended impact is to create income opportunities for 1400 households in rural areas of Namibia.